The High Street Pharmacy is conveniently located on the first floor, adjacent to the Buffalo General Medical Center lobby. In addition to filling prescriptions, they have a selection of over the counter medications, magazines and sundries. Think of it as your neighborhood pharmacy; you don't have to be a patient to enjoy the convenience of the High Street Pharmacy. The Pharmacy is open Monday-Friday, 9 a.m.-7 p.m. and Saturdays, 11 a.m.-3 p.m. and is closed on Sundays and major holidays. For more information, call (716) 859-1570. As an added convenience for our inpatients, we provide an exciting new program called Prescriptions Plus. This program allows patients who are soon to be discharged the opportunity to fill prescriptions right at the High Street Pharmacy. No additional stops on the way home, no more difficulty in finding a pharmacy that carries a particular medication. With Prescriptions Plus, it’s all right here! Prescriptions Plus representatives are certified pharmacy technicians who will collaborate with your physicians, nurses and case managers to assess your discharge medication needs. If medications are necessary, the Prescriptions Plus representative will take care of ordering your medications from the High Street Pharmacy so they are waiting for you when you are discharged. Co-pays or payments are processed in the same way and at the same cost as any outside pharmacy. Most prescription and health insurances are accepted. Cash, check, Visa, and MasterCard are accepted. We want you to enjoy the comfort of your own home as quickly as possible. Prescriptions Plus helps you do that! For more information, tell your nurse you would like to speak with a Prescriptions Plus representative. The Suburban Family Pharmacy is a full-service retail pharmacy conveniently located in the lobby of Millard Fillmore Suburban Hospital. 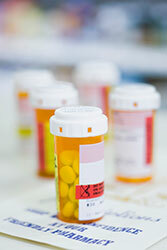 Prescription refills may be transferred from another pharmacy unless it is for a controlled substance. Physicians' offices can phone/fax in a new prescription with additional refills. The Suburban Family Pharmacy is open Monday through Friday, 9 a.m. - 5 p.m. (closed holidays) and accepts most major insurers and most Part D plans. For more information, call (716) 568-3784. The Children’s Home Care Pharmacy is a full-service retail pharmacy. The pharmacy has the ability to fill outpatient prescription orders as well as prescription drug counseling and specialty compounding, with regards to children’s dosing. The Children’s Home Care Pharmacy can also often obtain hard to find prescription and over-the-counter items. Although the pharmacy specializes in children, prescriptions for the entire family, including pets, can be filled! Most major insurances are accepted and free delivery is offered. The Children’s Home Care Pharmacy is located on the 2nd floor of Oishei Children's Outpatient Center and is open Monday-Friday, 9 a.m.-7 p.m. and is closed on major holidays. For more information, call (716) 323-6380. As an added convenience for our inpatients, we provide an exciting new program called Prescriptions Plus. This program allows patients who are soon to be discharged the opportunity to fill prescriptions right at the Children’s Home Care Pharmacy. No additional stops on the way home, no more difficulty in finding a pharmacy that carries a particular medication. With Prescriptions Plus, it’s all right here! Prescriptions Plus representatives are certified pharmacy technicians who will collaborate with physicians, nurses and case managers to assess discharge medication needs. If medications are necessary, the Prescriptions Plus representative will take care of ordering them from the Children’s Home Care Pharmacy so they are waiting for you when you or your child are discharged.